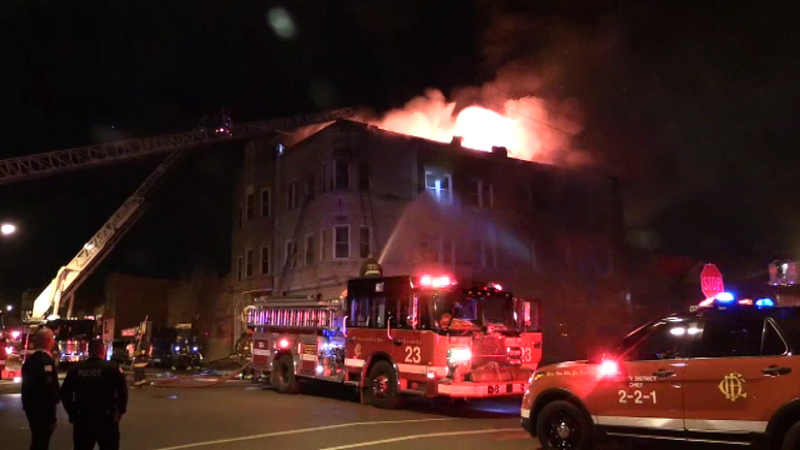 CHICAGO (WLS) -- A fire in Pilsen displaced 25 people and injured one firefighter overnight. Flames were visible all along the roof line of the three story building near 21st and Wolcott. The injured firefighter was rushed to a hospital and is expected to be ok. The fire department says 25 people, many of them children, have been displaced by the fire. Fortunately none of the building's residents were hurt.